Is China's Belt and Road Initiative Just a Bedtime Story? Africa and China go way back. In a wood-panelled room on the Jinhua campus of Zhejiang Normal University, by the picture-perfect Xinyue Lake, is a wonderful and surprising secret: one of the most valuable collections of African artefacts in the People's Republic of China. The collection includes fetish objects from the Congo River basin circa 1000 AD, ceremonial masks from the Sahel desert circa 1600 and a fertility doll from the 1950s in Cameroon, among other items. This room is where visitors to the university's Institute of African Studies are ushered on arrival. After that, one is free to trade anecdotes and insights with a group of Chinese academics who - based on their in-country experience and research output - can be counted among the leading Sino-Africa experts in the world. In April 2015, led by Professor Shu Zhan, China's former ambassador to Rwanda, the word from these experts was that China's engagement with Africa's labour market was about to enter a "new phase". The discussion focused on the generally poor showing of Chinese multinational corporations in transferring skills and knowledge to local African workers, and operating according to the strict letter of African labour legislation. 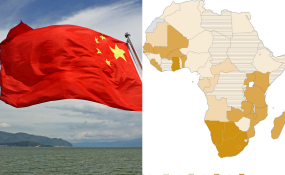 All the academics present conceded that since China had turned its economic attention to Africa at the beginning of the millennium, a "poor showing" on these two issues had indeed been the norm. Specifically, the discussion centred on President Ian Khama's decision to expel Sinohydro from Botswana in July 2013. The Chinese construction company built the infamous Three Gorges Dam, which spans the Yangtze River in central China. It is the largest dam in the world and has been described as a recipe for disaster by environmentalists. "It was an unprecedented move," agreed Shu, as a Chinese company of Sinohydro's size had never been expelled from an African country before. According to the academics the reasons for the expulsion were clear - Sinohydro had a policy of sending its junior engineers to Africa to "learn on the job", resulting in all five of its major infrastructure projects in Botswana being either over schedule or of shoddy quality. Needless to say, skills transfer from the Chinese construction giant to the local Batswana labourers, who comprised the large majority of the non-engineer and unskilled labour force on all five sites, had been close to nil. By all accounts it was a situation that embarrassed not only Professor Shu and his current colleagues at Zhejiang Normal University, but his former colleagues in the Africa department of the Chinese foreign ministry too. By December 2015 the academics' prediction had been realised. At the Forum on China-Africa Cooperation (FOCAC) in Johannesburg, South Africa, President Xi Jinping spoke about "the lack of skilled personnel" in Africa, promising to establish "a number of regional vocational education centres and several capacity-building colleges". The People's Republic would, said Xi, train 200,000 technicians for African countries, and provide the continent with 40,000 training opportunities in China. But the promises extended beyond the blue-collar sector. For white-collar job hopefuls, Xi offered 2,000 degree or diploma education opportunities, 30,000 government scholarships, funds for 200 African scholars and 500 African youths to visit China each year, and training for 1,000 African media professionals. Referring to the "white-collar" initiative, Dr Paul Tembe of the Thabo Mbeki African Leadership Institute, who holds a PhD. in Chinese culture from the Chinese University of Hong Kong, expressed his reservations. "What has caught my attention is what I have come to call 'Orphans of China-Africa relations'" he told Africa in Fact in February 2017. "These are African students who graduate in China. They cannot be employed in China for obvious reasons, and they are not suitable for Chinese companies in Africa. When Chinese companies land in Africa they seek to learn from local ways of doing things, and those skills are possessed by local- or Western-trained graduates. Take as an example an African economist trained in China ... [such a person] is not attractive to either Chinese or African markets." Tembe is fluent in Mandarin and has focused his academic career on China since 2005; his specialty is cross-cultural communications. His observation covered "the majority if not all" of China-trained graduates, he said. "Most [African graduates] end up relying on their language skills, and open small businesses in either Guangzhou or Yiwu," he said, alluding to the huge markets where African traders source their Chinese goods. "Very few are absorbed by their home universities upon their return. Almost all of these get pigeonholed into starting some sort of a 'China desk' or 'centre', irrespective of the subject of their training." It seems clear then that Xi's initiative faces extensive structural challenges, and that these challenges may not be overcome with the passing of time. As for the blue-collar initiatives, it is too early to tell whether the promises of FOCAC 2015 will bear lasting and sustainable fruit. There are some real-world examples in Africa that suggest the "new phase" is beginning to take root though. The Chinese-built Standard Gauge Railway Project (SGR) in Kenya, begun in October 2014 and expected to finish in June 2017, is a case in point. An October 2016 study by researchers Uwe Wissenbach and Yuan Wang, under the auspices of the China-Africa Research Initiative at the Johns Hopkins School of Advanced International Studies, revealed that while the SGR has been subject to the same allegations of corruption, opaque contracting and disregard for local labour laws as most Chinese infrastructure projects in Africa, it has begun to create "modest development opportunities for local content, jobs, and skills". According to Wissenbach and Yuan, the China Road and Bridge Corporation (CRBC), the principal contractor on the $3,8 billion project, has sourced 40% of its construction materials from local Kenyan suppliers; this followed organised pressure from Kenyan manufacturers and President Uhuru Kenyatta's direct hand in negotiations. In addition, 100% of the cement for the project being sourced locally "required the transfer of manufacturing standards, thus upgrading the local capacity", the researchers wrote. The SGR project employs around 25,000 Kenyans and the opportunities for skills transfer have been numerous - and CRBC, on the whole, has delivered. Aside from the "learning by doing" training conducted on-site, the company's corporate social responsibility budget has financed a Technology Transfer Competence Training facility in Voi County. "The future of the facility is not clear," Wissenbach and Yuan noted, "but it is better positioned to meet industry demand for skilled workers than the current Kenyan vocational training system, which is largely theoretical and is not aligned with employer needs." Outside frameworks such as the Institute of African Studies at Zhejiang Normal University and other more closely monitored organs of the Chinese Communist Party, observers are hedging their bets on this "new phase" in China-Africa labour relations. Ross Anthony, acting director at the Centre for Chinese Studies at Stellenbosch University in South Africa, sums up a 15-year-old maxim when he says, "The Chinese state always wants to push these progressive initiatives, but the reality on the ground often turns out to be different." So, while the signs are promising, Africa will have learned by now to be cautious. Copyright © 2017 Africa In Fact. All rights reserved. Distributed by AllAfrica Global Media (allAfrica.com). To contact the copyright holder directly for corrections — or for permission to republish or make other authorized use of this material, click here.